The Secret History project and the shantyboat will be exhibiting at the Santa Cruz Museum of Art & History at Radical Craft Night on November 21 between 4-8pm. Come join us! 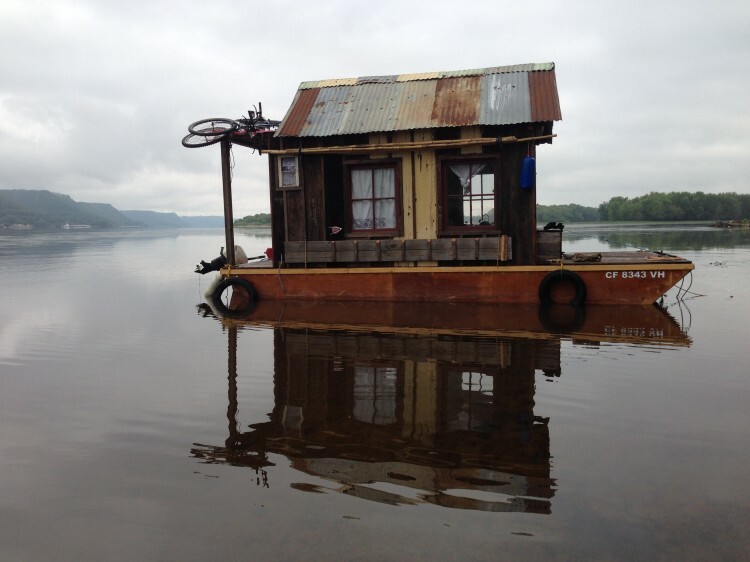 A rustic, re-created 1940s shantyboat, a daring river voyage, and a meticulous archive of river stories are all part of a multi-year art and history project, A Secret History of American River People (peoplesriverhistory.us). Visitors to the Secret History exhibit can explore the digital archives, see excerpts of interviews, explore the physical library of river-related books and materials, explore the boat, and talk with the artist. Additionally, a short documentary will be screened inside the museum. When visitors step onto the recreated shantyboat, they step into another world where they can pick up the banjo or a book, sit awhile and overhear the personal stories of shantyboaters, scientists, historians, and locals who live and work on the river. Visitors are invited to share their own river stories. At each show, dozens of visitors hand-write meaningful recollections and experiences that in turn are added to the archive. Most of the project team will be there, so visitors can meet awesome people who make things go behind-the-scenes.